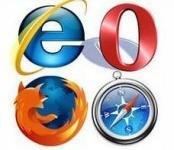 Mobile Web browsers are fast catching up with their desktop counterparts in terms of functionality and features. Until a few years ago, internet access on the cellphone mainly meant being able to chat or send and receive e-mail on your handset. Yes, you could browse the Web on your phone as well, but screens were small and the browser - the software that let you access websites - was not really designed to let you see websites in all their glory, but instead showed you watered down “mobile-friendly ” versions of the originals. All that changed with the arrival of the iPhone with its powerful Safari browser. This not only signalled an era of larger phone screens, but also positioned the handset as a device that was as capable of browsing the Web as a computer. The iPhone’s popularity led to not only more touchscreen devices (which is another story altogether), but also spurred a significant improvement in cellphone browsers. Prior to the iPhone, browsers like Opera Mini had managed to deliver a decent browsing experience on handsets, but had often been hampered by relatively small (2 or 2.2 inch) displays. All this has now changed and the first thing that many users do when they get a cellphone is often to download a new browser to be able to surf their favourite websites with minimum fuss - ironically, the default browsers in most smartphones (barring the iPhone and Android devices) still remain on the weaker side. Opera Mini: It can claim credit to having started the mobile browsing phenomenon when it allowed users to access desktop versions of websites on their handsets as far back as in 2005. Since then, it has gone from strength to strength and now even comes pre-installed on many handsets. One of the reasons Opera Mini works so well is that it uses a server to compress Web pages and then sends them to a handset - this can wreck havoc with images, but more often than not provides a very quick browsing experience, even on relatively slow connections. Recent years have seen additions like tabbed browsing, an icon-driven interface, the ability to share bookmarks with desktop browsers, and support for just about every phone (including the iPhone) in town being added. All of which make it the best mobile browsing option on a handset to this day, notwithstanding the absence of support for Flash websites. In fact, it is so good that it has overshadowed and at times even cannibalised a sister product, Opera Mobile, which provides similar functionality, but runs totally off the phone and does not access pages through a server! Bolt It is a relative newcomer to the world of mobile browsers, but Bolt has already started making a name for itself with its extremely fast browsing and the fact that it allows users to access streaming Flash websites like YouTube and MySpace. Bolt also lets you use Web applications like Google Docs and games like Mafia Wars, all with minimum loss of formatting. There is also a widget platform for those who would like to access sites without the fuss of typing out URLs (never an easy task on handsets). SkyFire There are many who complain about its (lack of) speed, its tendency to shut down abruptly at times and its less-than-intuitive interface. But all said and done, Skyfire has made a name for itself as being, perhaps, one of the most powerful browsers to run on a cellphone. It is one of the few browsers that lets you access a number of Flash sites without too many hassles (there’s even a workaround for this on the iPhone which does not support flash) and gives near desktop-style performance for almost all websites on most popular smartphone platforms. Dolphin HDThere are many who will frown at the need for getting a third-party browser on an Android handset, which generally has a version of Google’s mobile Chrome running on it. It, therefore, speaks volumes of just how good Dolphin is, that many consider it a must-have application for Android users. Apart from handling Flash and HTML 5 sites very well, it also brings in the convenience of gestures, letting you access websites by just drawing a shape on the screen. For example, you can assign the letter ‘F’ to access Facebook. Draw the shape on the screen and you’ll instantly be taken to that site. There are also various addons and extensions available; a password manager and screen capture to add further functionality to the browser, if need be. Firefox MobileDo not get fooled by the name. The mobile version of Firefox has, so far, failed to match the performance (and hence, popularity) of its desktop counterpart. While it does offer a fair bit such as support for HTML 5 and add-ons, it has been found wanting in several departments, most notably those of speed and stability. iCab MobileFor many iPhone fanatics, downloading an additional browser when they have the superb Safari broswer pre-loaded on the device seems like a waste of time. However, iCab Mobile has emerged as one of the main challengers to Safari on the iPhone, just as it continues to be one of its rivals on the Mac OS platform. iCab Mobile brings tabbed browsing, three finger scrolling, and most interestingly, a download manager that can not just be opened by apps on the iPhone, but can also be transferred to a computer. The built-in search function can be extended by adding more search engines, just like a browser on a PC. It also has some unique features like filters to block ads or other unwanted elements on a webpage. Xscope Xscope is not just a Web browser for Android devices; it also functions as a task killer (to help close apps running in the background) and as a file manager. You can long press on a link or an image for additional options like downloading. It is noticeably faster in rendering pages as compared to the default Android browser. Additionally, tabbed browsing is possible, and you can switch between tabs by simply swiping left or right on the tabs toolbar. Like Dolphin HD, Xscope also allows you to download YouTube clips for later viewing. Other features include pinch-to-zoom, various customised skins and URL sharing. You can share the link to any website you visit using G-mail, Facebook or SMS; just long press on the URL bar and the sharing options come up. The latest version only works on devices running Android 2.1 or later.